Marathon Sportswear started in 1980 from a garage. They started with a manual and continued to print while raising a family of 8. Today, they have 10 autos and full-staff of 70 in the Chicagoland area. 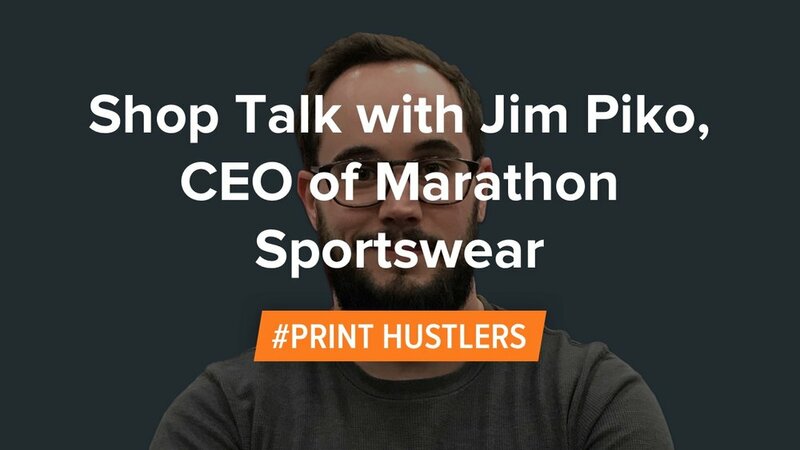 In this podcast, Matt Marcotte talks with Jim Piko, CEO of Marathon Sportswear, we dive into dealing with problematic customers while balancing company growth. Marathon Sportswear, like all shops, want to please everyone to the highest standards. Jim talks about how they balance taking jobs to take jobs vs trying to select the best jobs for both parties. Matt also asks Jim how automation has changed his shop and tips for other shop owners when investing in this improvement. We learn when the best time to invest is and when you know it's too late.